ePro Traffic is an established and reputable Internet marketing and advertising company that has always maintained a solid, goodwill policy toward its customers. We always strive for the highest level of customer satisfaction attainable. When a customer has a particular concern or complaint, they should contact ePro Traffic personnel via phone call, email, or live help. When contacting us please provide as many details as possible regarding any possible concerns. We will work to make things right for you, including offering other ePro Traffic services free of charge to help you get a better response. 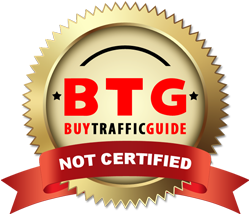 If necessary, we will provide you with a refund on any remaining undelivered traffic or unused service plus a 20% Admin Fee. Please note: as we work with various partners and incur expenses in carrying out our services, we cannot, under any circumstance, issue refunds for portions of services that have already been delivered. All refunds must be requested by phone or email, you can't request a refund via live help. In any instance where a customer's service has been terminated due to a violation of ePro Traffic stated use policies or other generally acceptable Internet standards - NO refund either full or partial - shall be due the customer. You acknowledge that we may change these terms and conditions at any time in our sole discretion, and that the terms and conditions posted at https://www.eProTraffic.com/terms.html replace and supersede all previous versions. You agree that it is your responsibility to visit this page from time to time to check for any updates.